Trump wins Louisiana and Kentucky as Cruz comes out on top in Kansas and Maine. Republican presidential candidate Ted Cruz at a campaign rally on March 5, 2016 in Wichita, Kansas. Update: It’s a two for two in the Republican race, with Ted Cruz and Donald Trump splitting up the four states that were up for grabs on Saturday. The split result made it clear that the GOP race is far from over. Cruz won big in Kansas, with 48 percent of the vote, and Maine, with 46 percent, while Trump got the votes in Louisiana and Kentucky. Trump’s victories were both closer than expected, particularly in Louisiana, where he won 42 percent to Cruz’s 37 percent. The big loser of the night was undoubtedly Marco Rubio, who even came in an embarrassing fourth place in Maine. Both Cruz and Trump called on Rubio to drop out of the race. “I want Ted, one on one” Trump said. At the end of the night, Trump had 373 delegates to Cruz’s 291. Rubio is in third place with 122 delegates, according to the New York Times. Update at 9:50 p.m.: Donald Trump won the only primary of “Super Saturday,” ending first in Louisiana. With only 11 percent of precincts reporting, Trump had 47 percent of the vote, far ahead of Ted Cruz’s 26 percent. Trump is also ahead in Kentucky but the race hasn’t been called yet. Update at 9:02 p.m.: Ted Cruz racked up his second victory of the night in Maine, where he came in first with 46 percent of the vote, far ahead Donald Trump who got 33 percent of the vote. Marco Rubio suffered a huge embarrassment and consolidated his fourth place finish with eight percent, which put him below John Kasich, who managed to obtain a whopping 12 percent support. 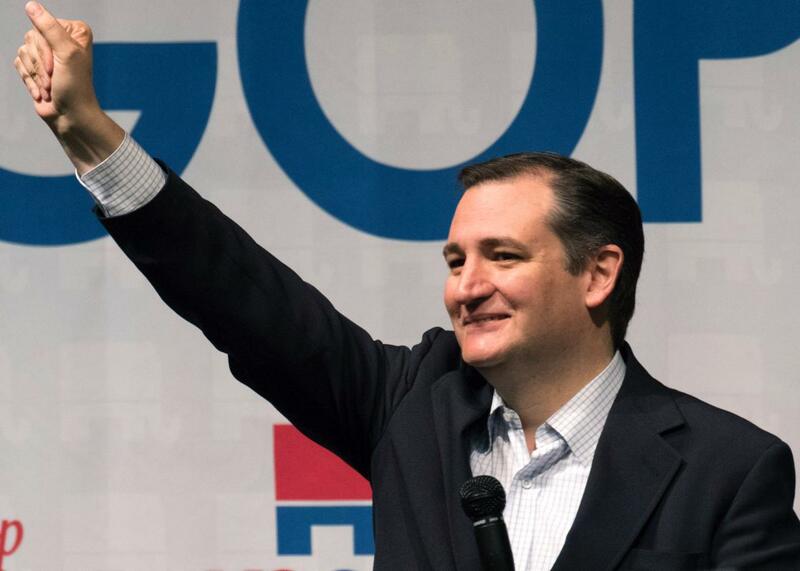 Cruz’s victory came despite Maine Gov. Paul LePage’s endorsement of Trump. Update at 7:55 p.m.: With 100 percent of precincts reporting, Ted Cruz’s huge lead in Kansas held up as he won 48 percent of the vote, more than double Donald Trump’s 23 percent and far from Marco Rubio, who only managed 17 percent, and John Kasich, who got 11 percent. That large margin of victory gives Cruz 24 pledged delegates, 14 more than Trump, who only got 10 while Rubio managed five and John Kasich, one. Cruz also appeared to be ahead in Maine, although by a smaller margin. With 12 percent of the precincts reporting, Cruz had 43 percent of the vote compared to Trump’s 37 percent. Rubio appeared to be doing extremely poorly in Maine, coming in fourth with 8 percent behind Kasich’s 11 percent. In Kentucky, Trump looks to be the man to beat. With 10 percent of precincts reporting, Trump had 40 percent to Cruz’s 34 percent. Original post at 6:52 p.m.: The first of the “Super Saturday” results are in, and it looks like Sen. Ted Cruz wins by a landslide. With 76 percent of precincts reporting, Cruz received 50 percent of the vote, compared to Donald Trump’s 24 percent and Marco Rubio’s 14 percent. Although Cruz was seen as the favorite to win the contest, in part because it was a closed caucus, the margin of victory is seen as a particularly strong sign that traditional conservative Republicans may be coalescing behind Cruz. Turnout also appears to have been surprisingly strong in Kansas, suggesting many Republicans took the time to caucus in order to vote against Trump. The state also marks the latest in a string of crushing defeats for Rubio, who even enjoyed the support of Gov. Sam Brownback. The victory in Kansas came shortly after the Conservative Political Action Conference (CPAC) voted for Cruz in its straw poll.